Foam is traditionally used to protect items during shipping. There are many reasons way. One reason is that it is lightweight, yet durable. This means that it won’t weigh down your package (and make it more expensive to ship in the process) but that it will last throughout the entire shipping process, keeping your package safe from point A to point B and every stop in between. It’s also soft enough to provide very good protection during shipping. 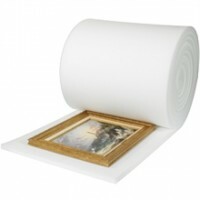 Foam packing rolls are an excellent way to keep your products safe during transit. The shipping process can be a very rough one. Boxes and often bumped, dropped, flipped upside-down, and generally subjected to punishment as they travel to their destination. We pride ourselves on offering shipping supplies that keep packages as safe as possible during their journey. We offer foam packing rolls in a number of different styles and sizes to suit your specific business and your application. For instance, we offer anti-static foam that is excellent for shipping electronic equipment, such as computer RAM, hard drives, and other such equipment. Not only does this foam provide cushioning and protection, but it is also moisture-resistant and is designed to protect products from electrostatic discharge. Foam is often used to protect and cushion irregular shaped or delicate items as well. It is very flexible, so it can protect in nearly every situation. This makes it a very versatile tool. At the Packaging Company, we take pride in offering an extensive variety of shipping supplies that are perfect for the limitless number of situations a business may encounter when shipping. 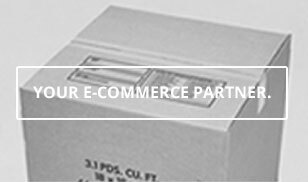 Trust us to provide high quality packaging supplies at affordable prices. We want to work with your business to give you the tools you need to be successful. In our years of experience, we have shown how dedicated we are to providing high-quality products as well as exceptional customer service. Contact us for more information.